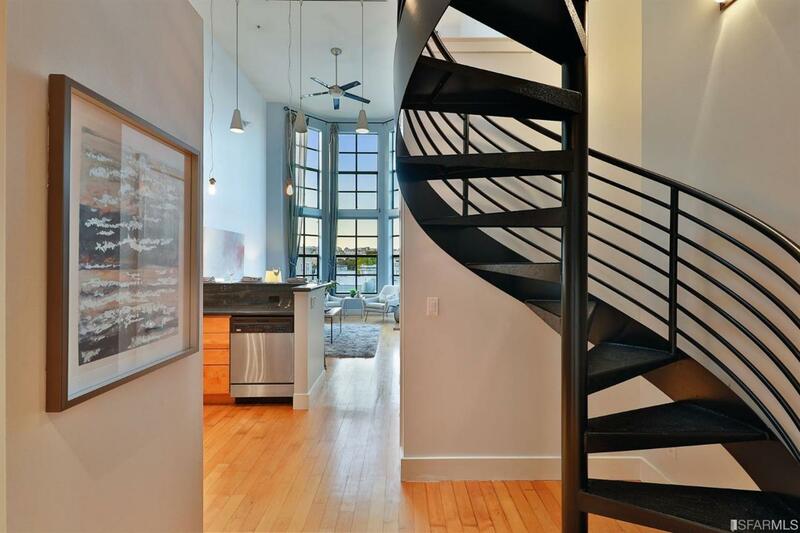 Quiet and secluded top floor 2 bd/2 bath condo with floor to ceiling bay windows, natural light, and modern touches. North facing windows with views of downtown and Alta Plaza Park, tucked away from the street. Enjoy the open kitchen, with stainless steel appliances and granite countertops, which opens to the living and dining area. Upstairs is the master bedroom which is flooded with natural light and enjoys unobstructed views throughout the day. The master bath, with skylight, is bright and airy. Brand new carpets in both bedrooms. In-unit laundry, 1 car deeded parking in secure garage, and storage unit. Perfectly situated between the conveniences of Divisadero's hot spots and Fillmore District, and a quick commute downtown. Walkscore 92. Spectacular shared roof top deck with panoramic views of the city and skyline. Listing provided courtesy of Laraine Hsu of Mcguire Real Estate.